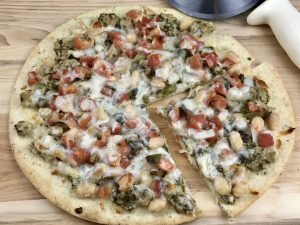 One gluten free pizza crust, many toppings! Breakfast, lunch, dinner or just for a snack, load those toppings on. I had so much fun making and eating each pizza. There is no recipe. Just be creative! All you need is a gluten free pizza crust and some simple ingredients. Here are a few ideas to get you started. Fruit pizza is especially popular with the sweet lovers in your family! Start with a base of cream cheese, then add your berries, a chocolate glaze and finish off with mint. 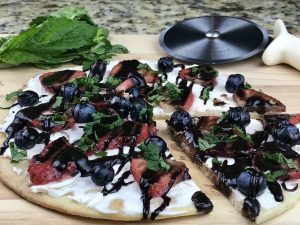 The fruit pizza is also perfect for parties, as well! 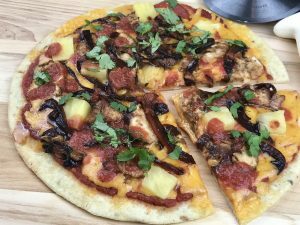 A little sweet, a little tangy and packed with exotic flavors, the Teriyaki Chicken pizza is a wonderfully easy weeknight meal. Add a little zing with a dash of hot sauce. There’s nothing quite like a traditional Caprese pizza! So simple, yet so elegant. Traditionally served as a salad with beefsteak tomatoes, creamy mozzarella, and fresh basil, Caprese is meant to showcase the absolute best ingredients Italy has to offer. 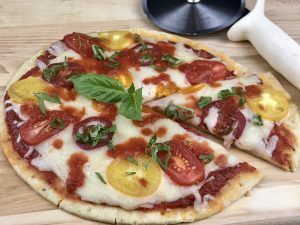 Here these fresh seasonal toppings are added to a gluten free pizza crust for the perfect appetizer or meal. Made famous in New Haven, Connecticut at Pepe’s Restaurant, the White Clam Pie took off in popularity and you can now find this delicious variation in many pizzerias across the country. This rendition is super tasty with the addition of white beans. Pizza for breakfast? Yes! 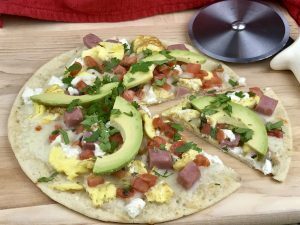 It has all the elements of a perfectly balanced meal with the grains of the crust, the protein of the egg and ham, veggies, fruit (yes, avocado is a fruit) and dairy. It’s the perfect meal! 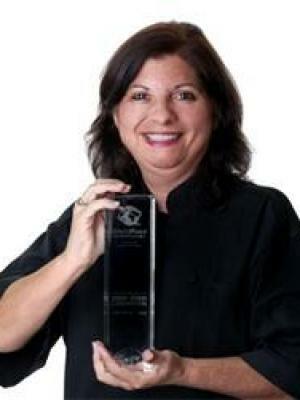 How will you top your gluten free pizza crust? 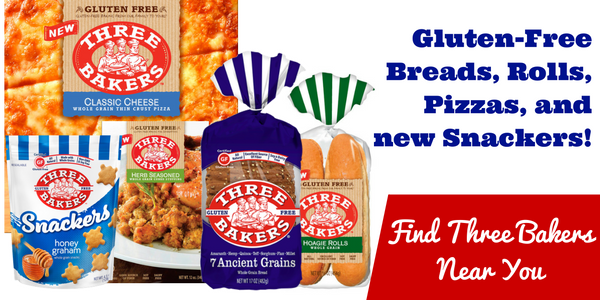 Use our Store Locator (click the image below) and narrow down by product to find Three Baker’s pizza shell’s near you.